Long before Deep Creek Lake became Western Maryland’s best kept secret, visitors still flocked to the mountains to visit Mountain Lake Park, a neighboring town of McHenry and Oakland. Of course, this was back in the late 1880’s when Methodist business men and churches were trying to find a new area to vacation. Drawn to Mountain Lake because of the fresh, clean mountain air, spectacular lush scenery, and convenience to the railroad, they developed the town and added a 22 acre man-made recreational lake that was used for swimming and boating. The town built an assembly hall that was quickly followed by the addition of rentable cottages, boarding houses, and hotels. The newly acquired town wanted to give vacationers a place of peaceful recreation that was far away from the frivolous and sinful recreations generally found in resort areas. The town promoted Christian principles which forbid those living or visiting the town to drink, gamble, play cards, dance or drink, even in one’s own home (I’m thinking this thought would not work so well today, especially on any given Sunday when the Steelers and Ravens are playing on TV.) If you wanted to participate in such evil misdeeds, you were encouraged to visit the neighboring town of Loch Lynn. Hence, the popular saying, “If you want to sin, go to Loch Lynn. For Jesus sake, go to Mountain Lake.” Of course, the town today basically resembles Hometown USA but they do still encourage others to visit. Many of the homes that were built back then, were fashioned as large Victorian type homes that now often allow visitors to tour them. Other attractions, you may want to check out are the Simon Pearce glass blowing store where you can purchase some fabulous gifts and tour the company to see first hand how the glass is created. (www.simonpearce.com) Another attraction in the area is Louis DiCarlo’s Stained Glass Gallery. 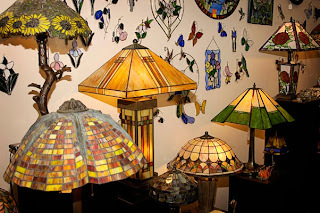 Lou is an award-winning designer and stained glass craftsman. 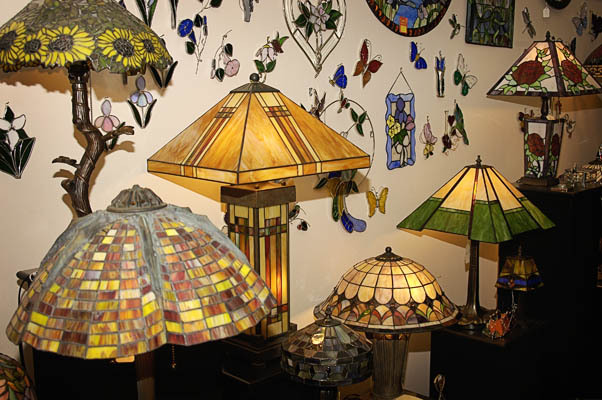 Visitors are welcome to view his amazing showrooms or call for an appointment to take a stained glass gallery lesson. (http://www.stainedglassgallery.net/) Although the original built lake no longer exists, there is another lake in the park called Broadford Lake Park. It houses a small sandy beach and the lake can be used for swimming, fishing, orsmall paddling boats. It also has a tennis court, pavilions for picnics, and multiple playgrounds for the wee ones. A very fun place to visit in the summer. If you are in the area and looking for something a little different, I encourage you to take the short drive into Mountain Lake Park. If you are suffering from a sinful sweet tooth, cross over the railroad tracks and enjoy a peace of coconut cream pie @ The Loch Lynn Restaurant. Tell Sheila and Bridgette that we said “Hello”. In the meantime, slopes are open, snow is in the forecast, and Taylor–Made Deep Creek Vacations is ready to help you plan your mountain getaway. We can’t wait to see you at the lake! Previous Previous post: A new reason to love Wednesdays!! Next Next post: It’s Time to Break the Ice!